To answer the question many are asking...Yes! 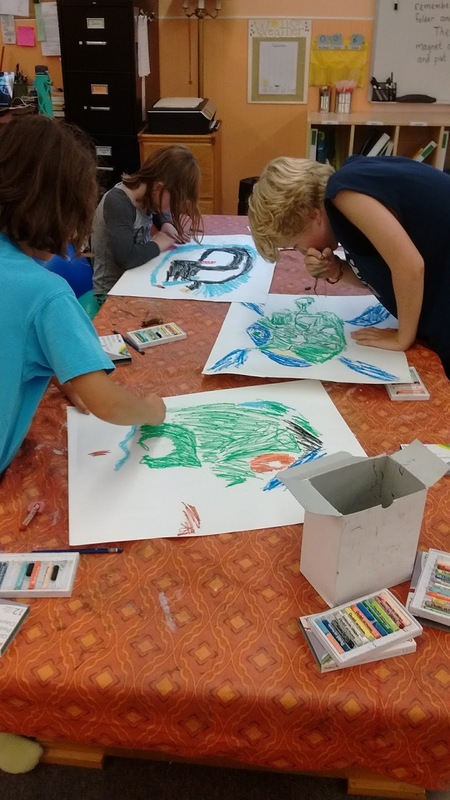 After School Art is back later this fall, WooHoo! 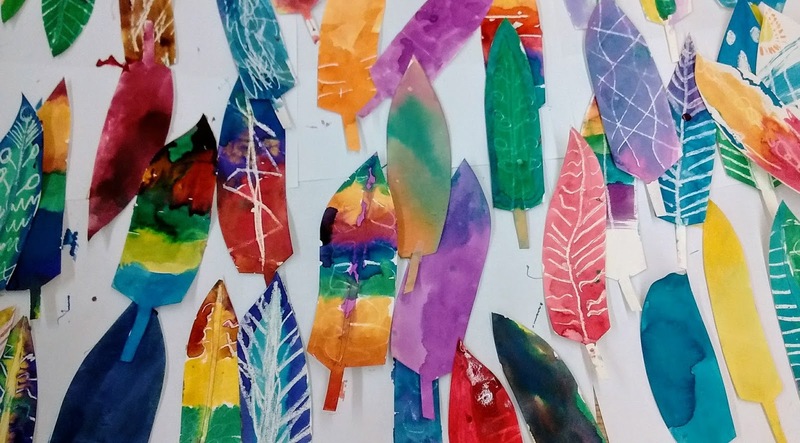 Once the weather cools a bit we will start up our After School Art Program again. I plan on starting it up mid-November, holding 4-week sessions again though the beginning of spring. Look for information on the first session in mid-to-late October, spots go fast! 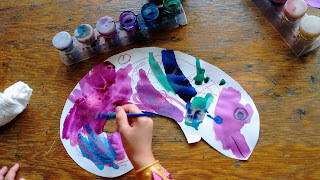 We may be exploring one of the following themes: Handmade Gifts, Drawing in Color, Fabric Design, and/or Magnificent Modern Artists...we will see! Just like that, we have seen the last of September! 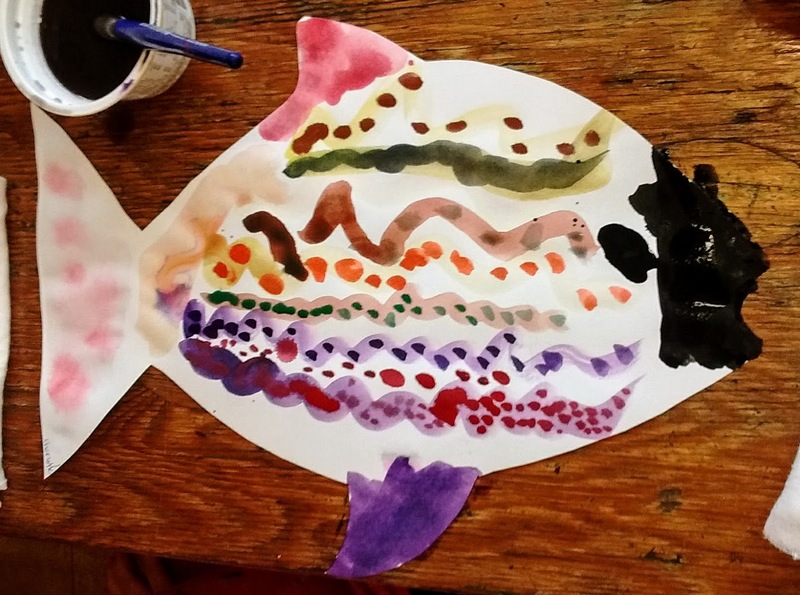 Preschool students made watercolor chameleon paintings, inspired by photos of multi-colored chameleons last week. We were able to build on our watercolor skills started the week before and add the wax resist painting technique to their repertoire. We worked outdoors in art this week, creating oil pastel and seed flowers inspired by their imaginations and surroundings. 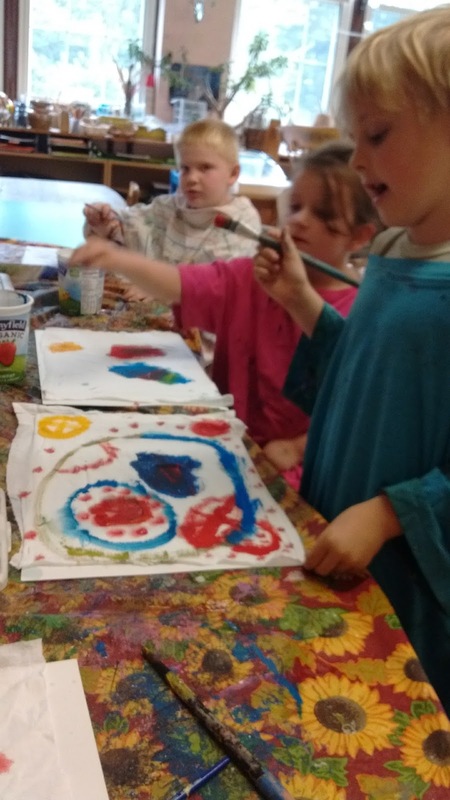 K1 students Finished glazing their cups, did a creativity exercise in line and shape with oil pastels and created imaginary flowers in chalk pastel. Their "The Dot" inspired napkins and ceramic cups are in the classroom and ready to be used! 2nd and 3rd grade students were able to glaze their ceramic feathers and did a line and shape creativity exercise, which they found riveting! 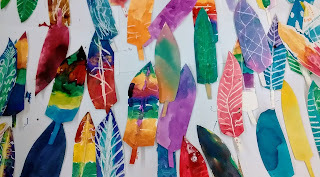 We spent our past class exploring the theme of feathers again, but through the media of wax-resist watercolor painting. 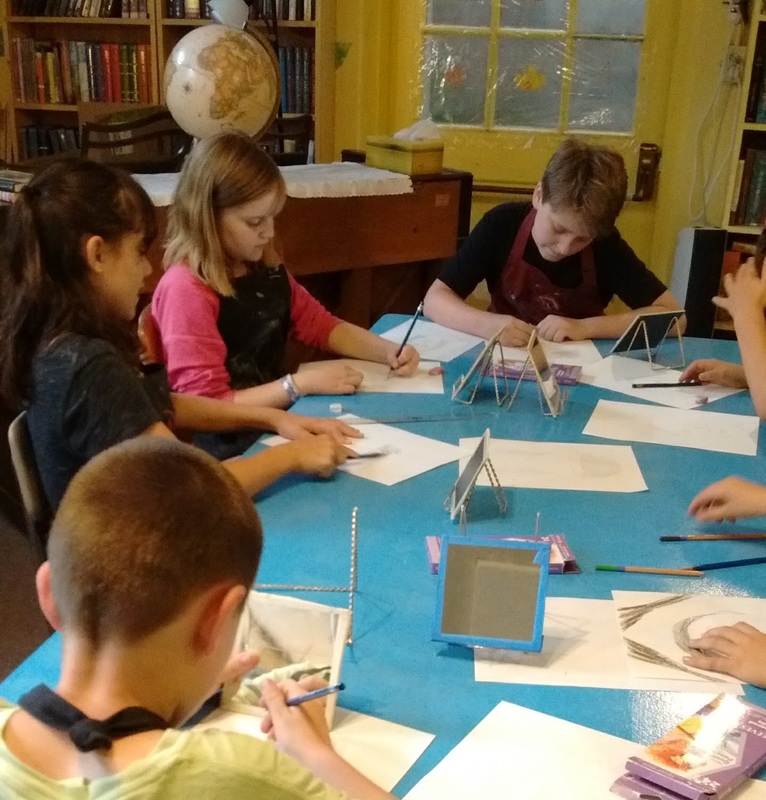 We then finished by making some sketches for our Lanterns for the Lantern Walk, which we will be working on in watercolor next week. 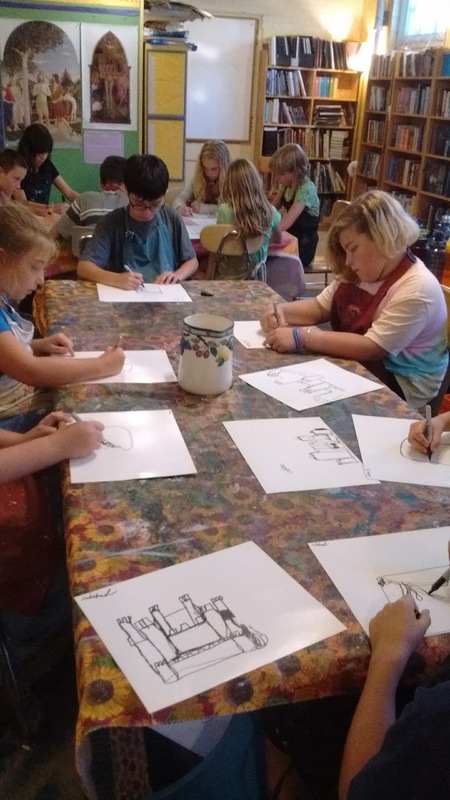 Last week the 4th, 5th, and 6th grade students were introduced to single-point perspective drawing using simple shapes, embellished with bright colors and bold lines. 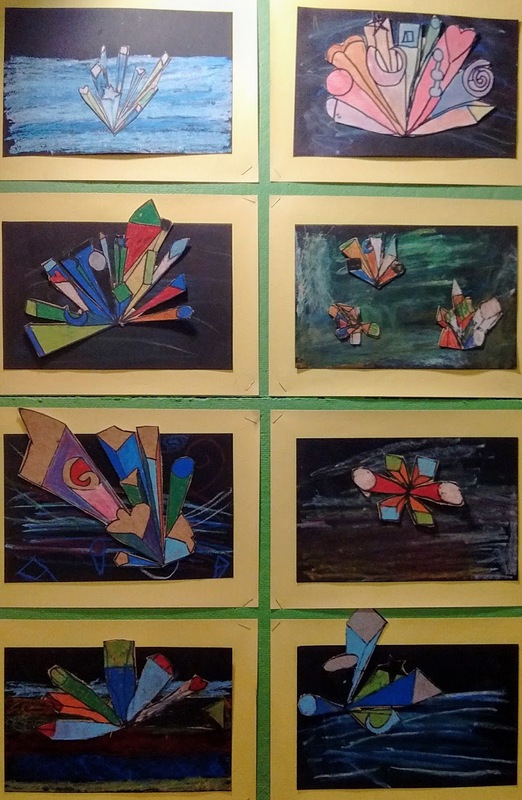 These mini art works are on display in their classroom currently. This week we had a little extra time together, so not only did we complete some idea sketches for the Lanterns they will complete next week, but we also got to dive into contour line drawing and continuous line drawing - both inside and outside. The continuous contour line drawing exercises went very well! This is a challenging practice where you draw an object, mostly in outline, without picking your mark-making instrument (pen, marker, etc.) off of the page at all. 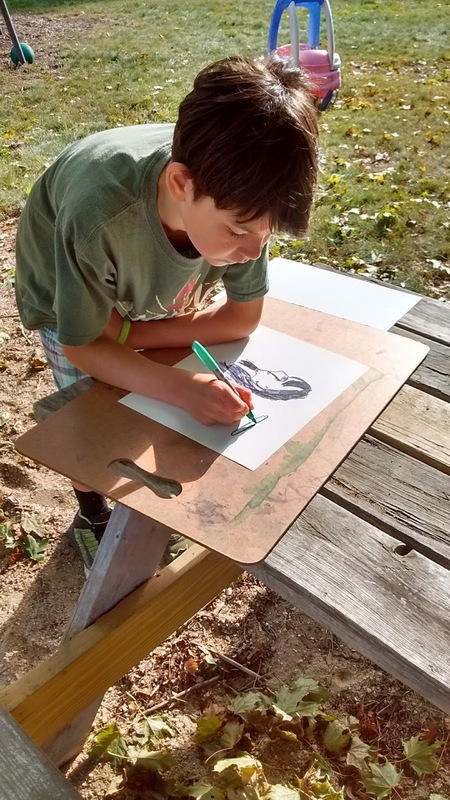 This exercise is meant to stretch horizons and embolden your future artistic choices, not necessarily produce frame-able art, however, sometimes the results are stunning! We have spent our first two weeks of Art getting reacquainted with the basics and routines in art. PreK started off with the book Lines that Wiggle and did free line drawings in oil pastel, then we read Rainbow Fish (a perennial favorite) and explored painting with watercolor! 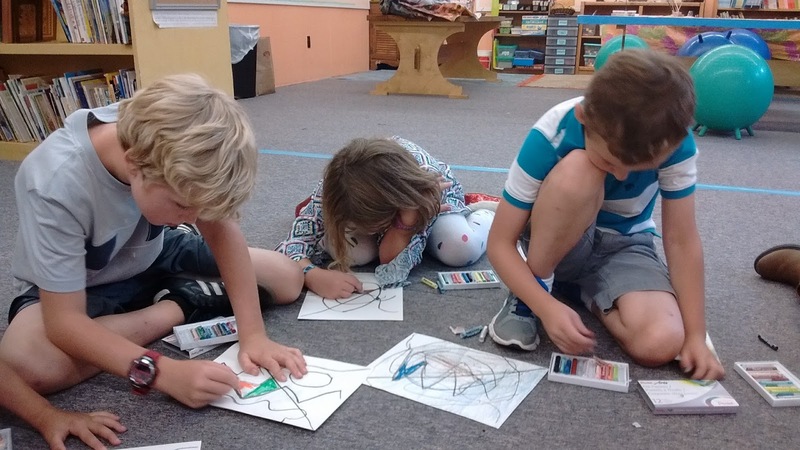 Line and color are both important elements of design! K1 has spent the first two weeks in projects of tradition - starting their ceramic clay cups, drawing a first portrait, and making napkins! The cups have been bisque fired and will be glazed this week and fired for a final time after tomorrow. The napkins are painted acrylic pieces, inspired by the book The Dot by Peter Reynolds. The have covered ceramic techniques, and introduced shape as an element of design as well as the inspiration that everyone can create! 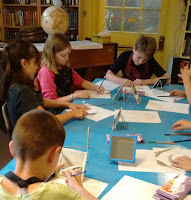 23 students made Native American inspired clay feathers already - with glazing slated for this week, and drew their own "World Maps" on the back of a turtle as inspired by the Turtle Island myth. 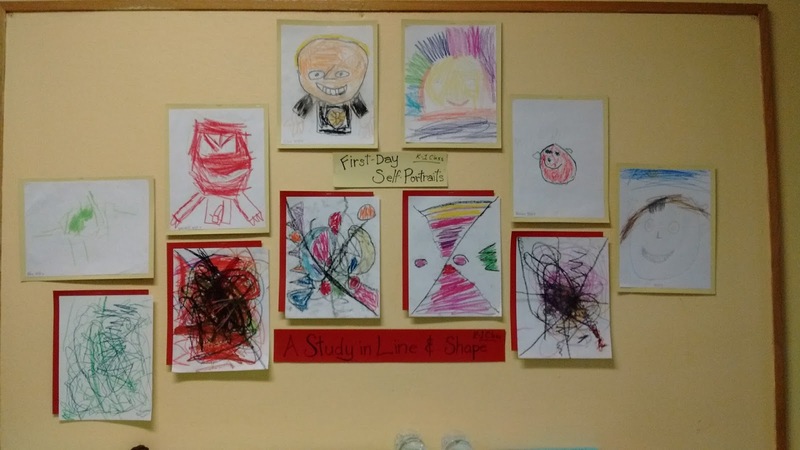 These non-representational free-form maps are on display outside of Shannon's class room and reveal a great variety of character among our cartographers! 456 was challenged the first day to make two self-portraits, one raw and un-coached, the second with some proportional guidance and the aid of mirrors. The second week we dove into a theme-based project that looks at composition and lettering as decoration creating illuminated letters. 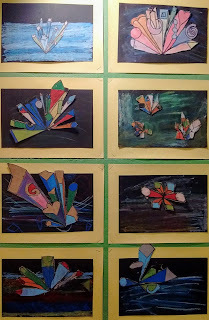 Coming up this week we will be exploring color mixing, line, glazing, and 1-point perspective - so much fun to have! See you Thursday! 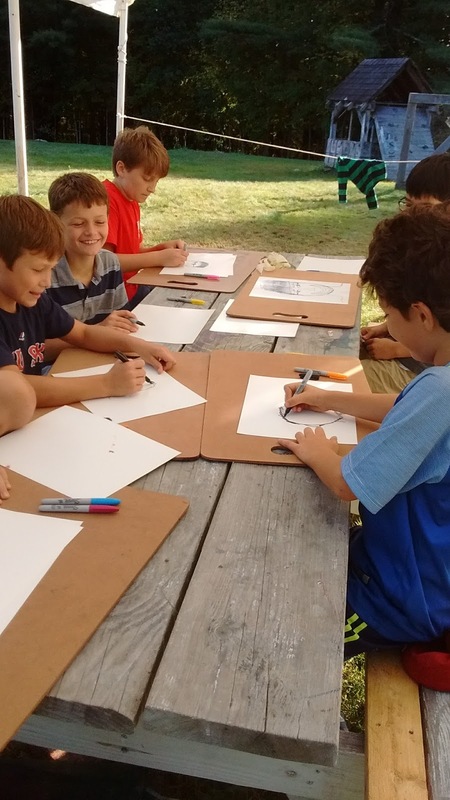 September 2017 - Welcome back to a new year at the Village School! I am excited to have started a new artistic adventure with all my students this fall. 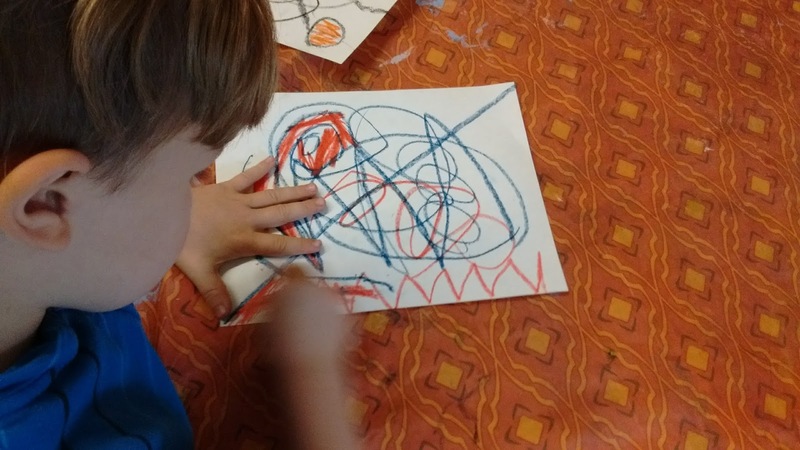 This year we will continue to have art classes on Thursdays, and I am continuing to visit the preschool every week as well as K-6. 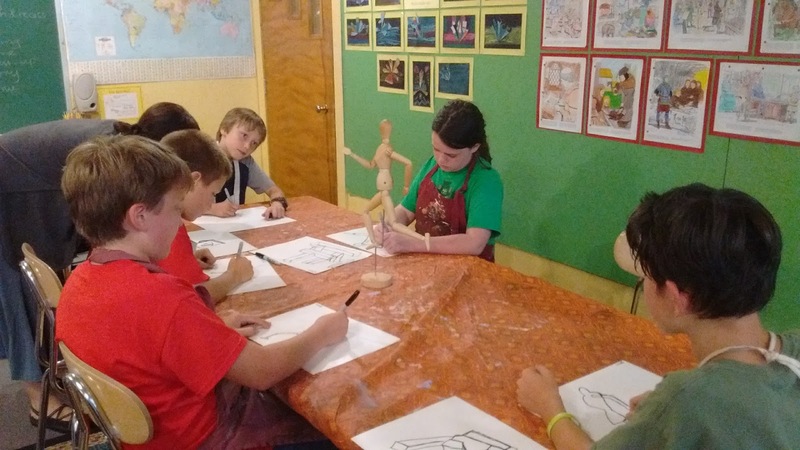 My goal for the students this year is to encourage them to exercise their creativity - in class and on their own - in such a way that it informs their artistic decisions and becomes an enjoyable and life-giving activity. 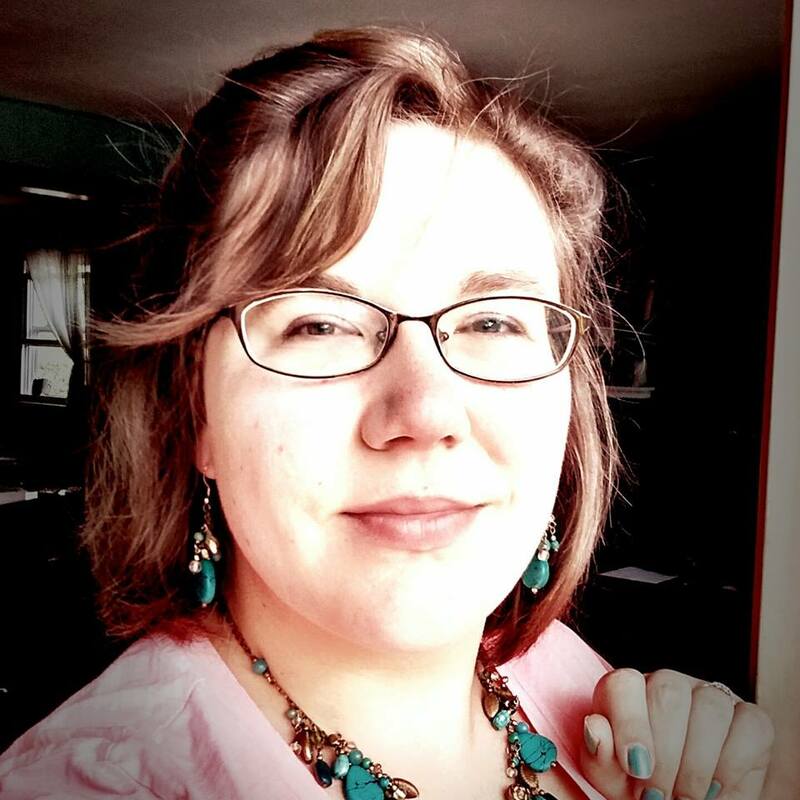 Over the course of the year I plan to introduce and reinforce good studio and artistic habits, the elements and principles of design, and a wide variety of media from ceramics to metal tooling! 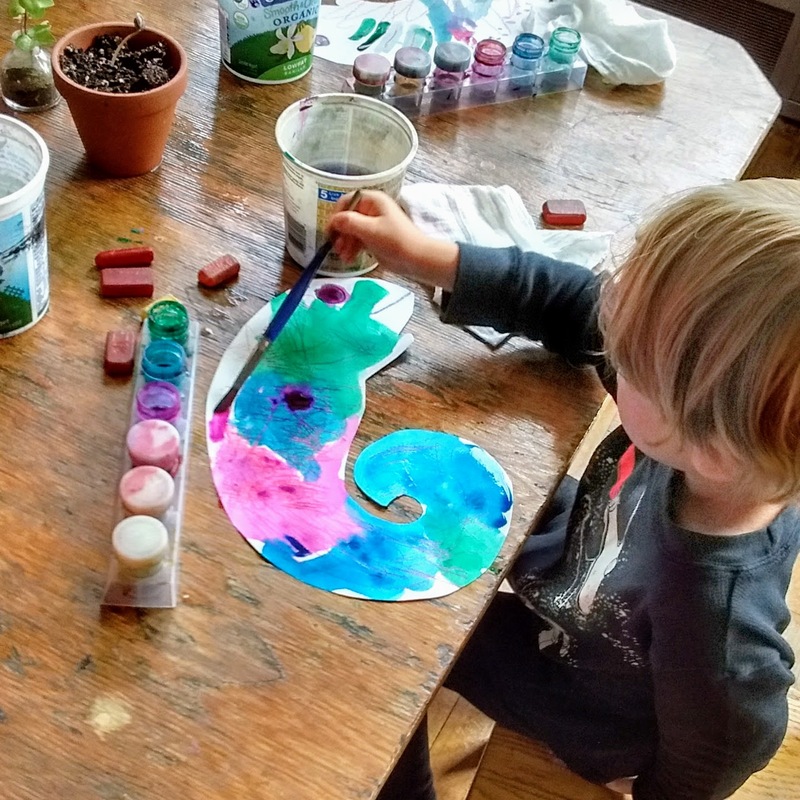 The overarching curricula for each class will address the essentials of art in developmentally appropriate ways, while encouraging students to rise to their own challenges, stretch their horizons, and enjoy! 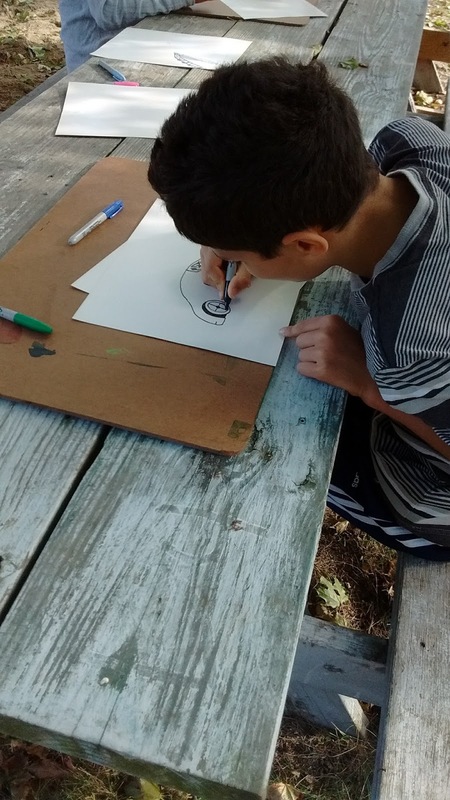 I also look forward to bringing back the After School Art program, starting later in the fall - keep your eyes out for more information!